TransDev offers a number of services to customers that enhance their product solution. As well as business divisions such as Special Belts and Manufacturing, we also provide technical assistance, onsite support and a range of product customisations, packaging, marking and delivery options. We have combined our entire offering to ensure that customers have access to the widest range of products, services and expertise from one reliable source. TransDev has expert Engineers near you. In the UK and Ireland our Regional Sales Engineers can visit your premises to learn about your business, as well as provide a first point of contact over the phone or via email. Over 50 years in power transmission and conveying has enabled TransDev to build up a wealth of technical knowledge. We can bring all this to bear on your projects and solutions. If you are a Distributor or Trade customer TransDev Direct is your first port of call. We support 100’s of trade customers via our expert field and internal sales teams, product specialists, technical engineers PLUS dedicated trade online ordering portal. As well as stocking one of the largest range of standard products, TransDev also manufacture a range of pulleys, gears and hardware. As well as gear cutting we are the largest pulley manufacturer in the UK! State of the art equipment has enabled TransDev to manufacture some of the most complex belts ever made, many within microns of pitch accuracy. Backings, flights, profiles and customisation of belts are all undertaken for a wide range of industries. An injection moulding service perfectly matched to your requirements. As well as injection moulding a range of pulleys, gears and belt profiles, TransDev moulds products for a wide range of industries. Our linear cutting production cell offers a quick turn around for your linear requirements. If you need advice we also have the expertise to discuss your requirements and advise the best solution for your needs. Supply chain solutions, such as Kitting, help our customers to maintain efficiency and minimise wastage. This value add service is tailored to meet your requirements and is fully backed by our quality control systems. 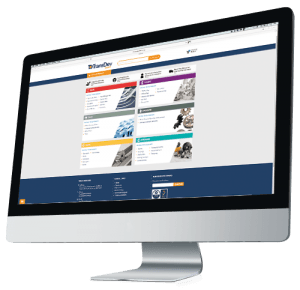 View and download brochures, technical documentation and white papers from our single Knowledge Base. If you require further information then please just get in touch with our expert technical team.